Everyday doing of the same thing will be bored right? So I'll try to make some non-anime stuffs with air dry clay this time. 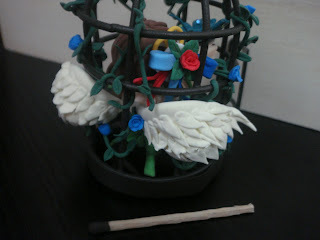 The gate of the cage wasn't big enough to place the whole body of this angel figure inside, so I attach her body parts one by one, step by step.But she was unable to take out anymore. I tried to tangled the cage with blue rose vines and yes, the results came out was nice. 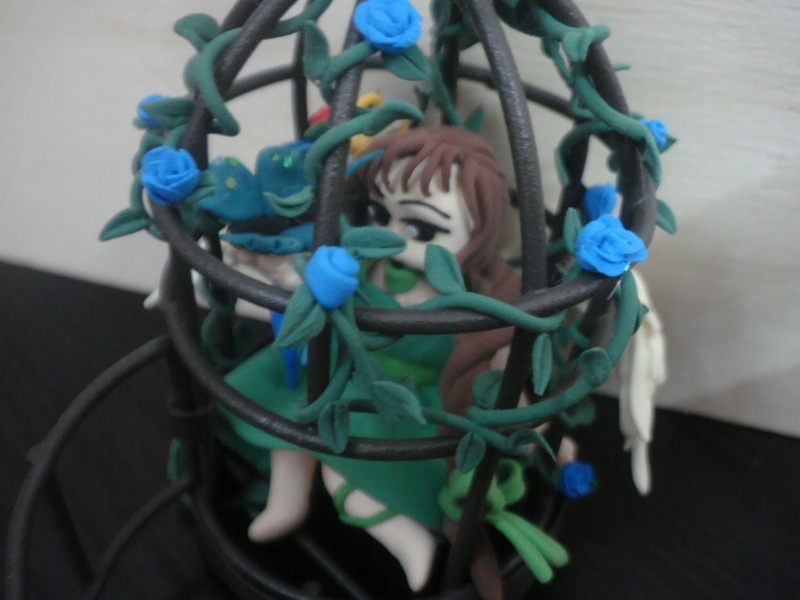 This little cage I was bought from Material物料 store, it cost me MYR 16.50. 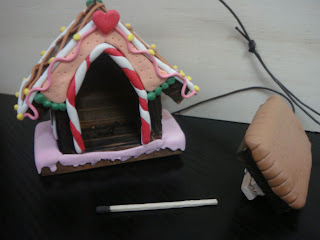 I bought an empty wooden house wall-hanger from the same store too, which cost me MYR 10.00. 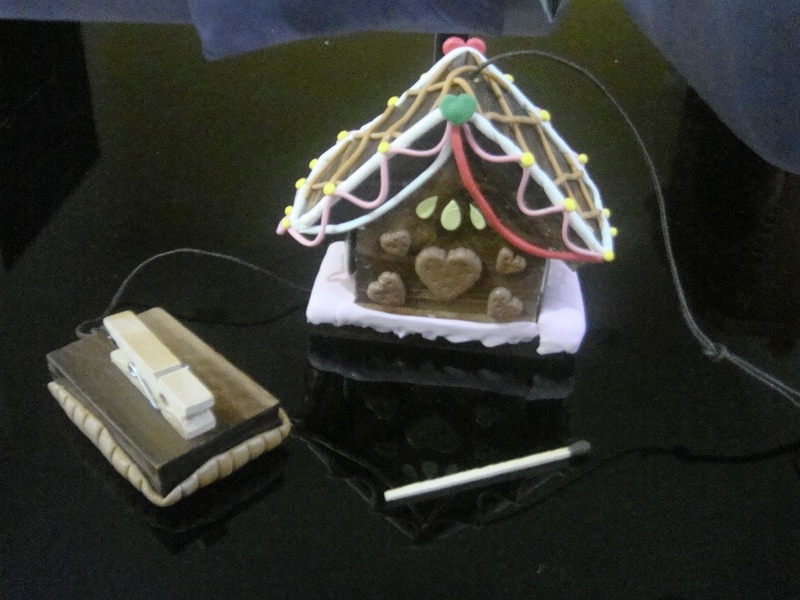 And I decorate it as candy house with air dry clay. 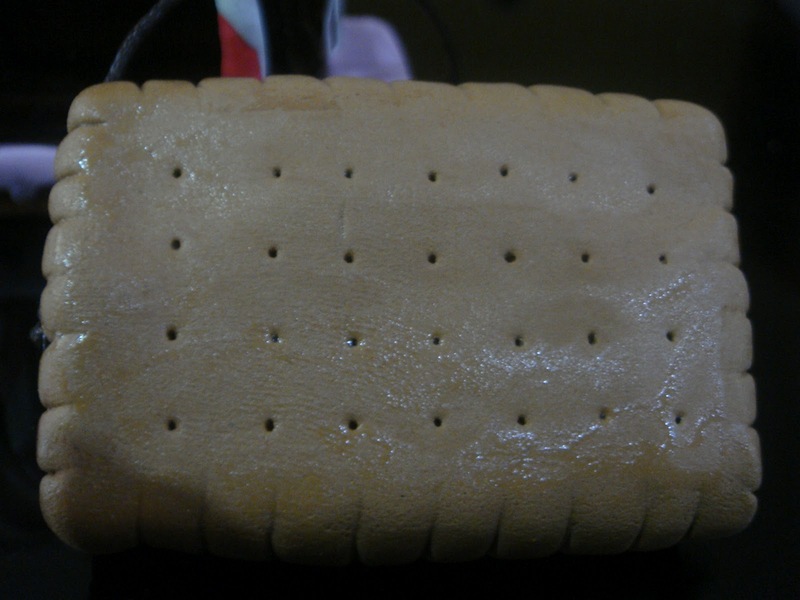 The clip was in rectangle so its good to decorate it into a biscuit. 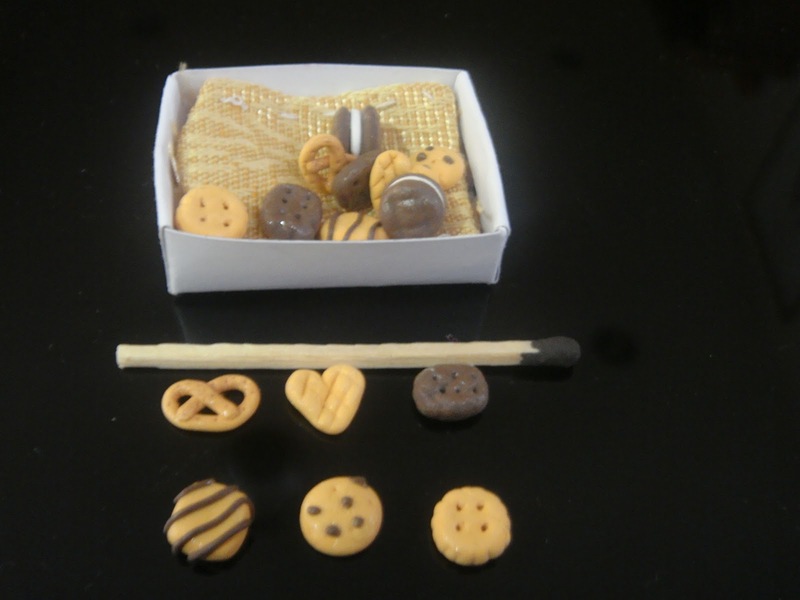 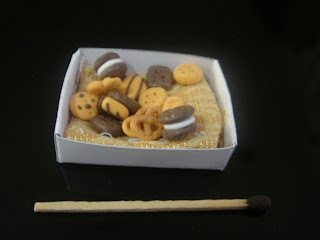 Here are some mini cookies made by air dry clay too. There are seven kinds of them.one of them was still in the box, it's Oreo-like! 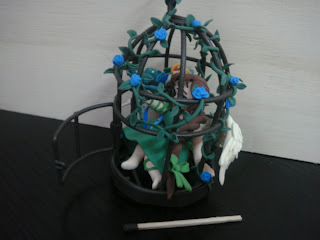 Everyone can request for any characters or things you like, Maybe I could try it.